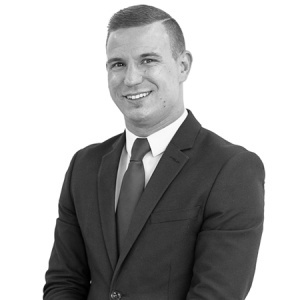 After growing up in Hertfordshire, Karl relocated to London in 2010 to start a career in property. Following a short spell as a Lettings Negotiator, Karl made the decision to move away from sales and into property management. Karl’s attention to detail and commitment to our customers led to his promotion to Senior Property Manager in July 2015 before being promoted to Head of Property Management in April 2018. “I really enjoyed working as a negotiator, but after learning more about the estate agency industry I quickly realised that my skills were more suited to working in the customer support side of the business. In 2013 Karl completed the NFOPP Level 3 Technical Award in Residential Letting and Property Management. “Karl is an extremely experienced Property Manager; as Head of department he has the knowledge and skills required to effectively manage the team and produce the very best results for all our landlords and tenants. Thanks to his expertise, I often receive feedback from clients who have gone out of their way to let me know how well their property has been managed and how pleased they have been with the service."